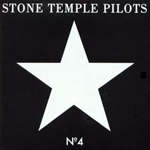 I was about to see a band from the ‘90s my mother never approved of — Stone Temple Pilots. I began to get pumped up as I took my place in line and wait edfor about an hour. This was not the most frustrating part of the evening, but waiting for the band to take the stage was. As I made my way inside I notice that, because I didn’t purchase ridiculously expensive VIP tickets, there was no way of getting anywhere near the stage. This aggravates me a little but it was a lesson learned. The show was supposed to start at 8 p.m., and I look at the time and see it’s now almost 9 p.m. This brings up a little concern, since the concert was scheduled for Sept. 17 and rescheduled for Nov. 5. At this point I’m not too worried, so I got a drink, which was $3 more than in the casino — which was ridiculous. As I made my way through the crowd I noticed it is now almost 11 p.m. and the show still hasn’t started. At this point, I am truly convinced that there will be no show. Again. I decided to leave after two-plus hours, so as not to be duped by this band for the second time. As I made my way out of the crowd to leave, the lights went out and the band came on and began to play. There was never an explanation given as to the reason the crowd was waiting two-and-a-half hours, which was annoying. Scott Weiland, lead singer, is a great performer and he definitely can work the stage and the crowd. He had so much energy, dancing and jumping around. Guitarist Dean Deleo, drummer Eric Kretz and bassist Robert Deleo effortlessly played their instruments. They are truly talented and it showed on stage. The band put on a good show and played numerous hits like “Plush,” but after waiting two-plus hours to see them, on top of the previous show cancellation, it left a sour taste in my mouth. I had a good time at the concert and the band was good on stage, but the wait times and the venue location made this concert seem less than an A+.